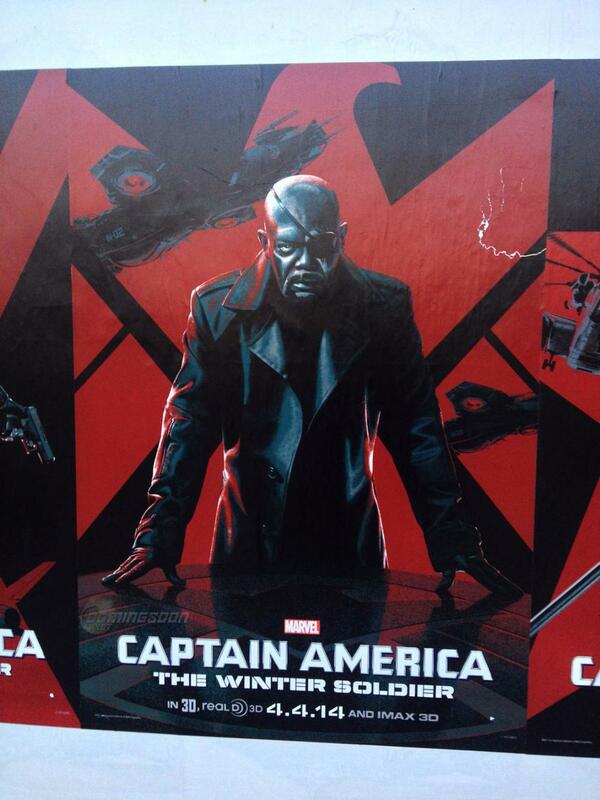 Here are some photos of a set of new stylish illustrated character posters for Marvel's Captain America: The Winter Soldier. The posters have been spotted around Los Angeles, and I imagine they will be released officially online in the near future. The movie his theaters on April 4th.